I’m not sure what this is supposed to symbolize. 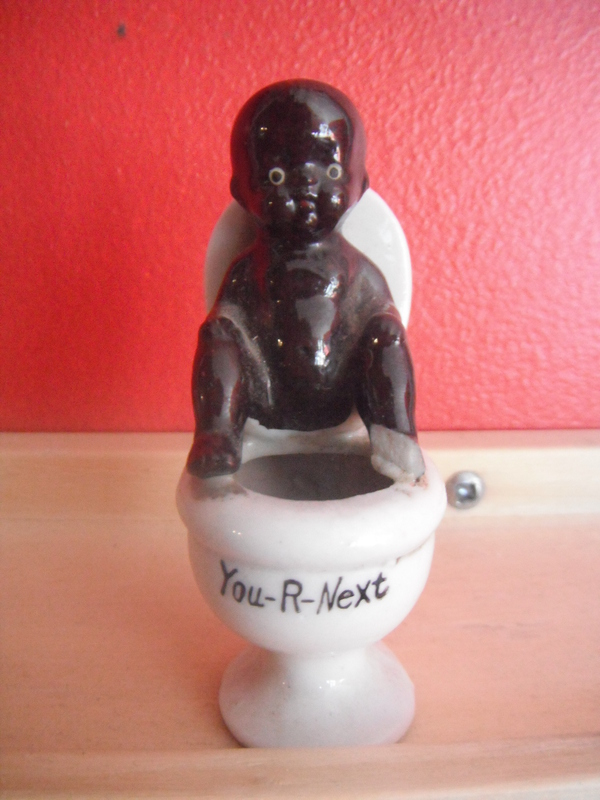 It’s a (pretty racist caricature) of a black child on a toiler with the text “You-R-Next” written on the bottom. On the bottom it says “Made in Occupied Japan.” The kids’ left foot is broken off, but it still looks good. Well, maybe good isn’t the word. Odd for sure, but pretty typical for the time, unfortunately.. This dates from the years 1945 to 1952.